The color yellow is always a popular color choice during spring and summer. Yellow is associated with laughter, happiness, optimism and good times. All the more reason to wear it wholeheartedly. You may dismiss yellow immediately as a color that you cannot wear, but you do not have to go full out in yellow to embrace the color. 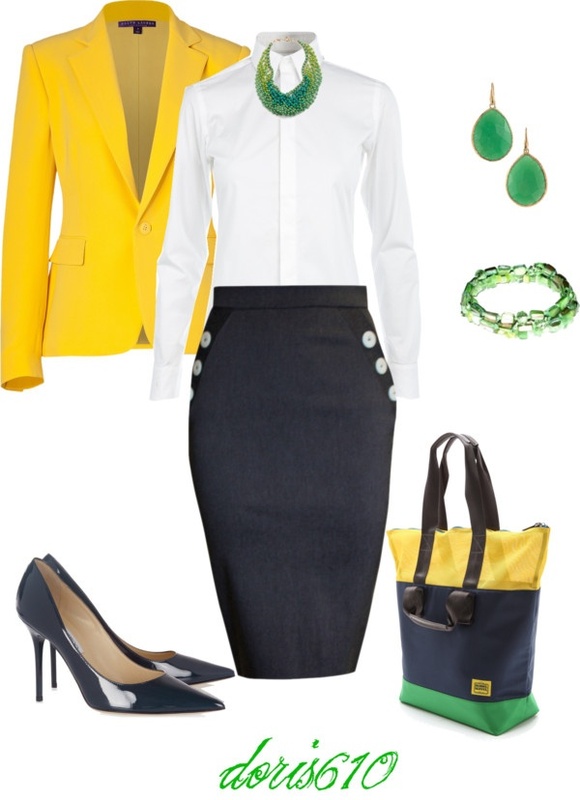 Since yellow is a bright color, you do not need much of it to give your outfit just that bit of color or extra flair. 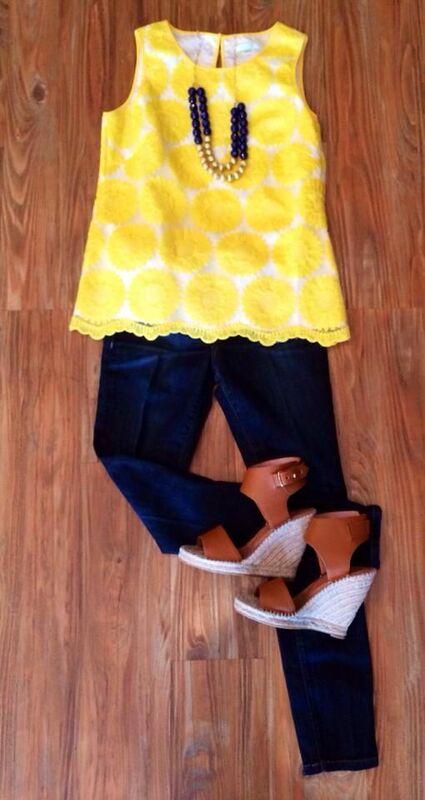 There are several ways to incorporate yellow into your wardrobe. How about a yellow jacket? How about as a top? Fabulous when paired with neutral bottoms like blue jeans or white slacks. If solid yellow is too bright for you, then choose a striped one. You can minimize the effect of the yellow by combining your yellow top (like a tank) with a blazer in a more neutral color. This will still give you the hip vibrancy of yellow without the yellow overpowering you too much. How about as part of a print? If you do not want to go for all out yellow but like the happy vibe of yellow, then choose a print that includes this color. How about as an accessory? If you are not too keen on wearing color but still like to liven up your outfit with a bit of sunshine, then accessorizing is the way to go. It is an excellent way to add color to your outfit and take it to the next level. Very nice with an all white outfit or a black and white combination. Just add a yellow bag, belt, scarf or necklace and you are good to go. This is by far the easiest way to add a bit of yellow to your wardrobe and still get the benefits.